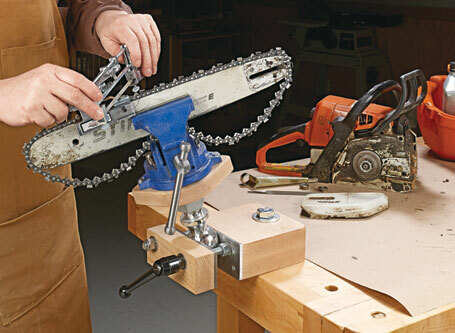 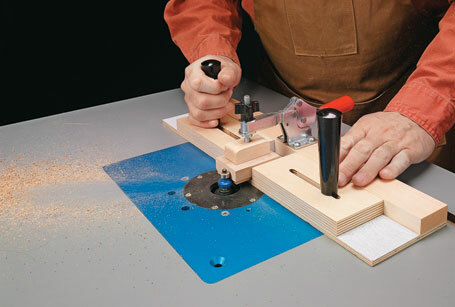 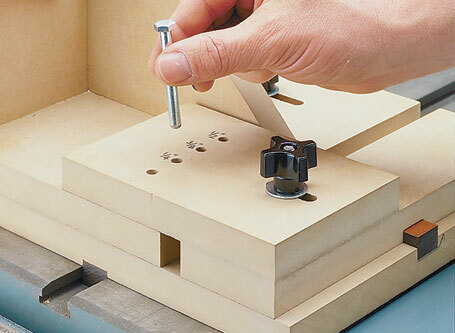 This jig has an indexing feature that allows you to cut perfect-fitting tenons every time, without having to set up the jig each time you use it. 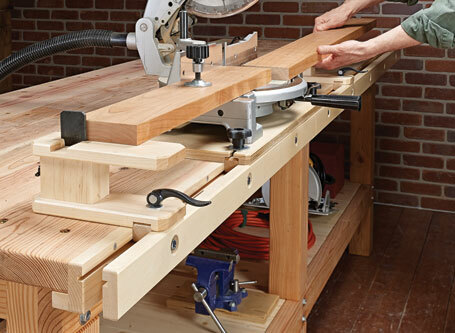 When it comes to cutting tenons, it’s hard to beat a tenon jig and a table saw. 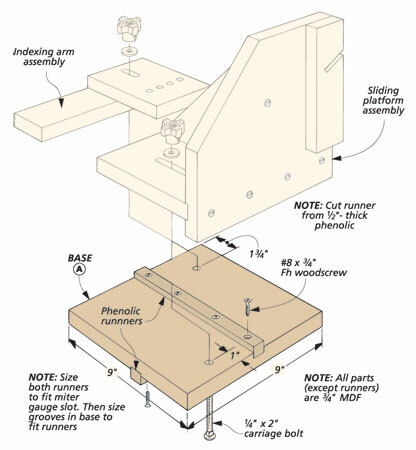 That’s because a tenon jig holds the workpiece vertically while a runner on the jig guides the workpiece straight through the saw. 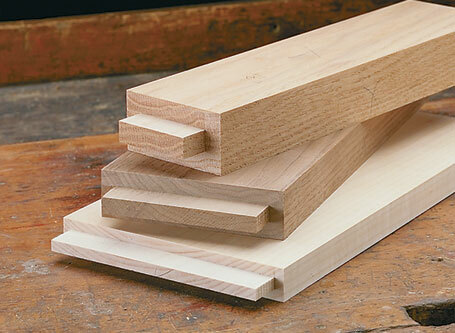 As a result, the saw blade slices through the workpiece to create a tenon with perfectly smooth sides (cheeks). 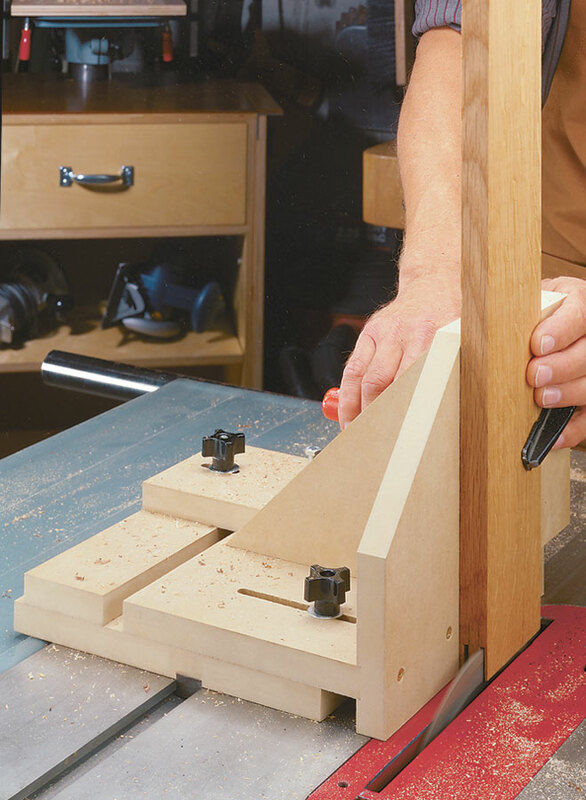 One of the interesting things about this jig is that it allows you to cut three standard tenons — 1/4", 3/8", and 1/2" — without having to fiddle with a lot of different adjustments.